Last Monday I spent the evening smelling fragrances, talking about style and generally having a lovely time. 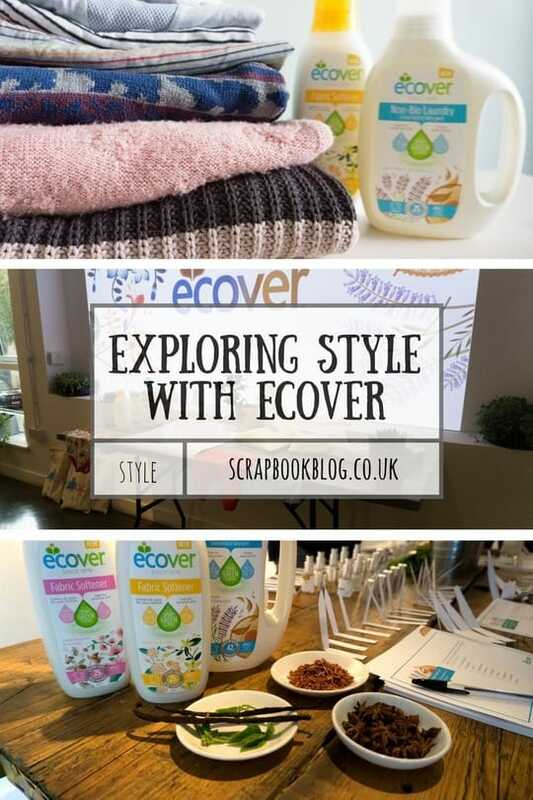 Ecover had put on an event to showcase their range new of laundry detergents, and though I’ve used Ecover before, so they’re not a brand I am completely unfamiliar with, I’ve not been using their laundry detergent. It was nice to get to chat to the lady behind the fragrances, Cassie. Now I think I would have a hard time doing her job, as after a while smelling all the scents, they began to merge into one another! But she is the mastermind behind the beautiful fragrance pairings in the Ecover laundry range, and the new range smells pretty good to me. The bottles are also pretty, which of course doesn’t affect how well the detergent works but is a big plus from an aesthetic point of view, especially as our detergent bottles don’t live in the cupboard but in the corner of our kitchen! I was surprised actually though with my sniffing prowess as I did well in the little experiment we took part in! 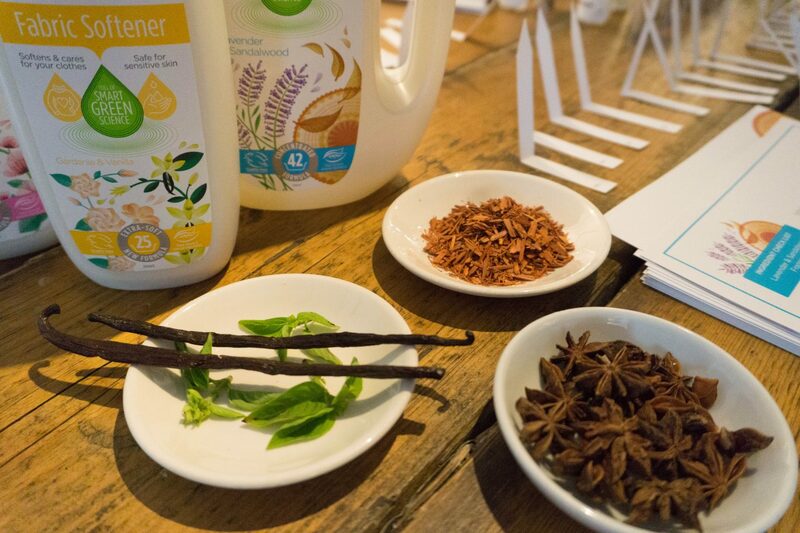 We had ten distinct fragrances to sample and had to work out which three were not included in the Lavender & Sandalwood Non-Bio laundry detergent. Yep, that’s right there are SEVEN fragrances blended together to give that gorgeous fresh scent, who knew! I must admit my approach to laundry is a bit slap-dash these days, with four of us in the family I tend to do at least one load of washing each day, and am terrible about separating my lights and colours up until now. Athena wears white polo shirts and white frilly ankle socks to school and I’d love for them to actually stay white for the year, so have been trying to wash those on a load of their own. 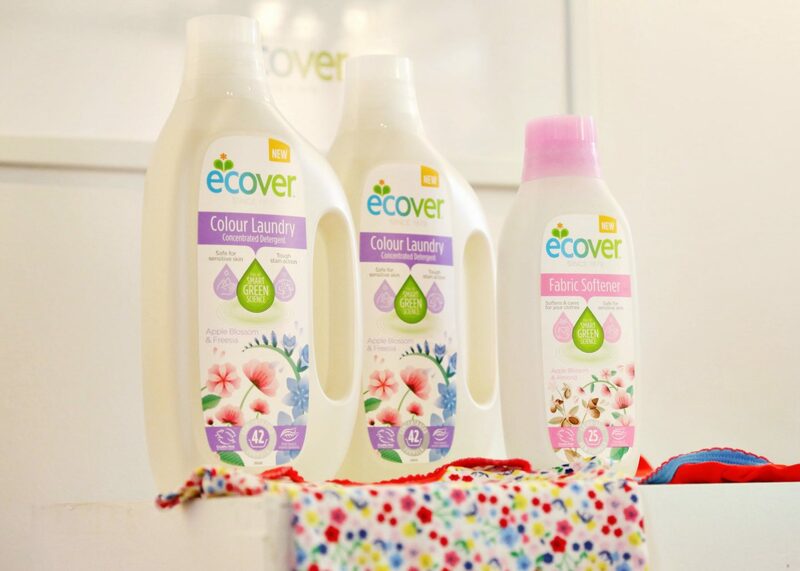 Now we’ve been using Ecover on our clothes at home, I’m getting the benefit of the carefully blended scents and the light load is coming out still white and the colour loads are still looking vibrant! 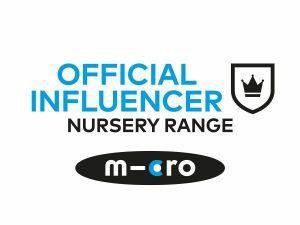 I also love Ecover as I prefer to use dermatologically tested and plant based formulas rather than lots of harsh chemicals, especially on clothes and bedding for my two little people! We wash at 30 degrees unless something is particularly stained (for example spaghetti bolognese spots on white school polo shirts!) and I’m surprised at how clean things are coming out! 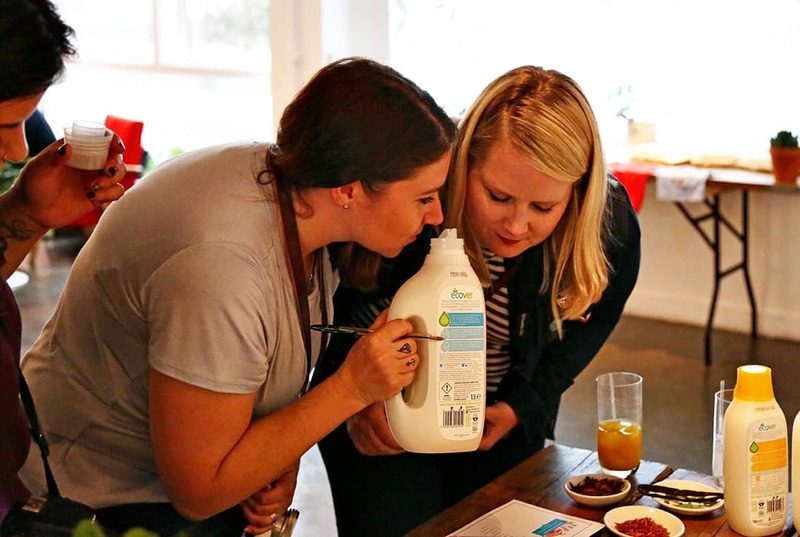 Also the Ecover detergents are concentrated, so you get more washes per bottle, around 42 in a 1.5l bottle! Get rid of anything that you’re keeping just for the memories… you know, like that lovely top you last wore in your early twenties, or those jeans that were too small when you bought them. Anything you’ve not worn in the last year (or maybe even 6 months) should go too. 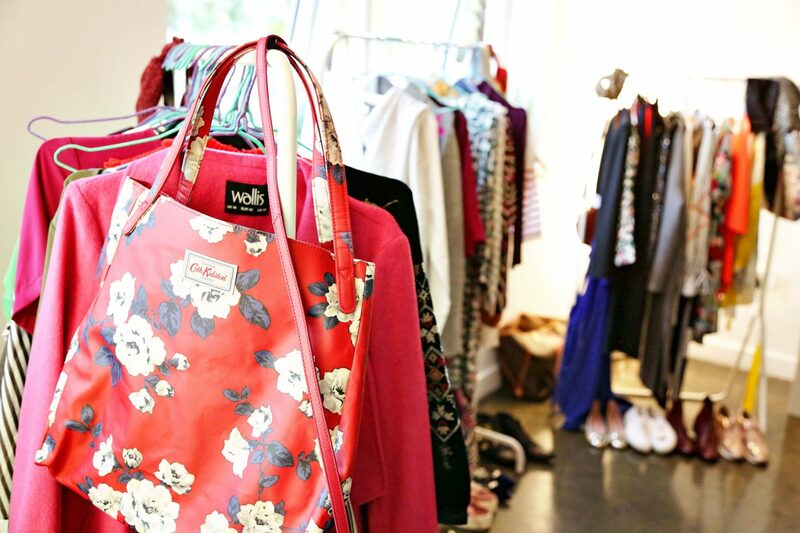 Once you’ve wheedled out the bits to get rid of you need to actually get rid of them – take them to a charity shop, not leave the bag close by so you can sneak things back out again! Before you head out with your shopping bags at the ready you must make a list of what you need, exactly as if you were heading to the supermarket. If you want a breton striped top, on the list it goes. Without a list to refer to you’ll end up missing vital items of clothing or end up with duplicates, or things in the wrong colour. Get your new wardrobe in the same shopping trip. Head out early, make a plan and stick to it, and don’t forget the list! It will be much easier to see what goes with what when you have it in your hands! One of the reasons I wear a lot of dark clothing is because I think it’s more flattering, so I asked Alex about how to still look good in black, and her answer was colour! If you don’t feel comfortable wearing bright clothing then bring colour or patterns into your accessories. A patterned scarf over a leather jacket and all black outfit, a bright handbag or patterned boots or shoes (hello glittery trainers!) will all draw peoples eye, and give an air of sophisticated style with ease. 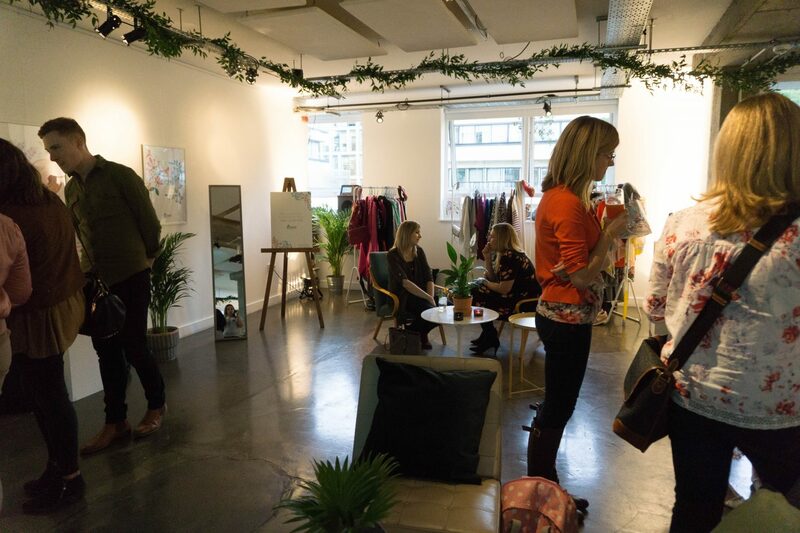 So as a result of my chat with Alex & Ecover I’m giving myself till the end of the year to detox my wardrobe (and lose a few pounds) and in the new year I hope to kick start my ‘Capsule Wardrobe’ journey! If anyone has their own capsule wardrobe please let me know how you find it! This post was written in association with Ecover, all words & opinions are my own. Some photos were provided by the event photographer.